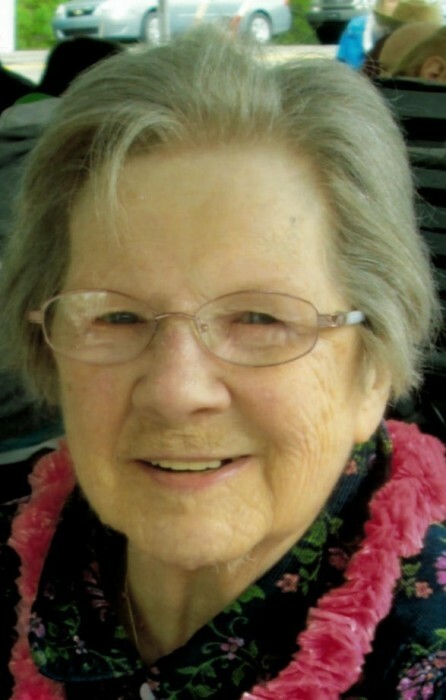 Obituary for Helen A. Yeager | Dimon Funeral Home and Cremation Services, Inc.
Helen A. Yeager, 93, of Williamstown, passed away March 27 at the Tremont Health and Rehab. She was born in Williamstown, May 4, 1925 a daughter of the late James and Helen Brennan Noel She was also preceded in death by sisters Mary Louise Lubold and Anna Heaney; Brothers, Edward Noel and James Noel. Helen was a retired clerk in the finance department at Ft. Indiantown Gap. She was a life member of Sacred Heart of Jesus Catholic Church where she was a former member of the choir. She is survived by two daughters, Donna Gonder and Helen Evans "Pidge" and her husband Greg, both Williamstown; two sons, Dennis Yeager and his wife April of Orwin and Stephen Yeager and is wife Elaine of Arizona. 9 grandchildren and numerous great grandchildren. Private Mass of Christian Burial will be Celebrated from the Sacred Heart of Jesus Catholic Church, Williamstown. Burial will be in the parish cemetery. Dimon Funeral Home & Cremation Services has been entrusted with the arrangements.